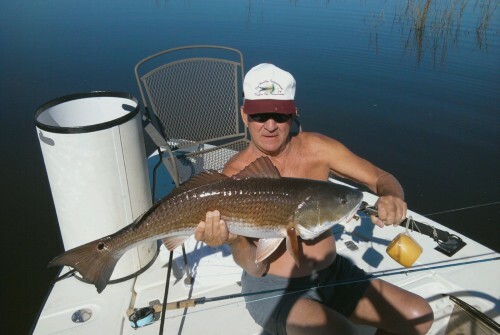 We catch Redfish in the waters around Wilmington/Wrightsville Beach year-round. 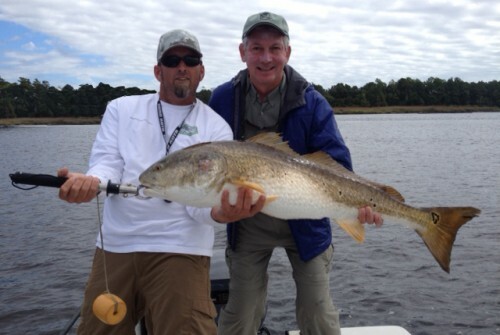 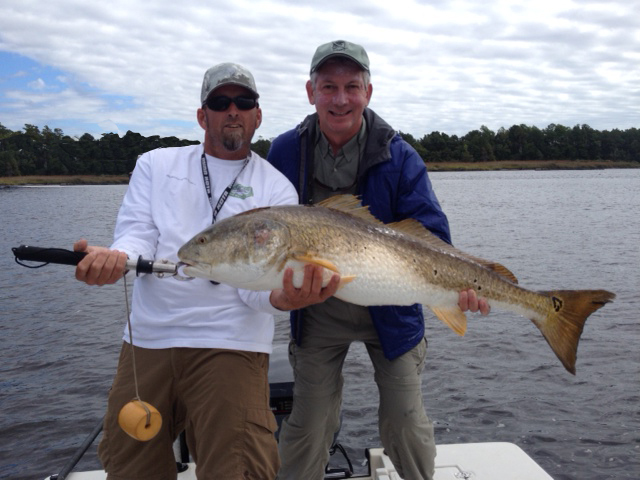 Come fish with one of the Cape Fear Area’s premier Inshore Fishing Guides! Fly Fishing and light tackle sight fishing is our specialty. 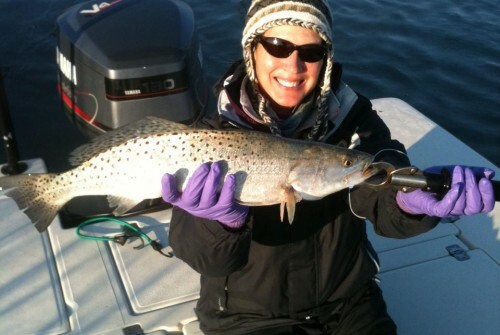 The gin-clear water and the large concentrated schools can make Wintertime sight-fishing a really exciting excursion, while the warmer waters of early Spring through Fall are prime season and the top-water action can be amazing, and it is not uncommon to see dozens of ‘tailers’ on a tide! 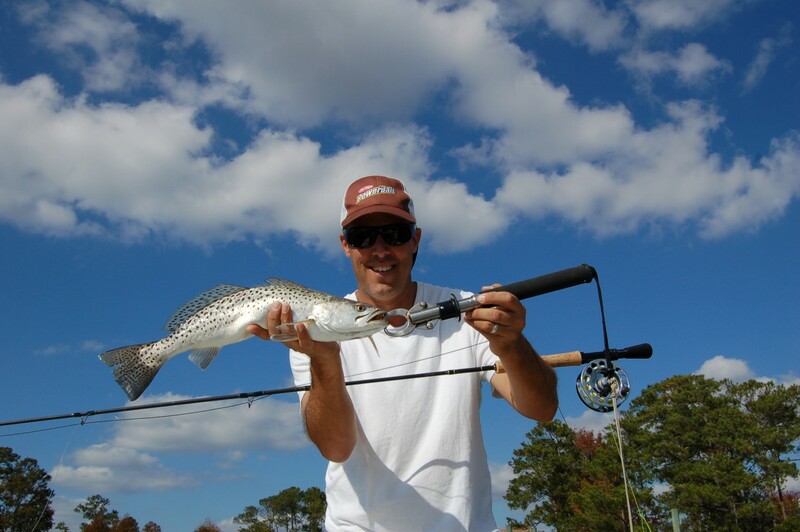 We have Speckled Sea Trout year round, from a Spring through Summer bite in the lower Cape Fear near Bald Head Island and Southport, that can produce outstanding catches of Big Trout, to an Early Fall through Winter bite from Downtown Wilmington all the way North to Sneads Ferry and the New River! Topwater plugs, soft plastics, hard baits, and Flies are all effective as we search for schools of these tasty gamefish. 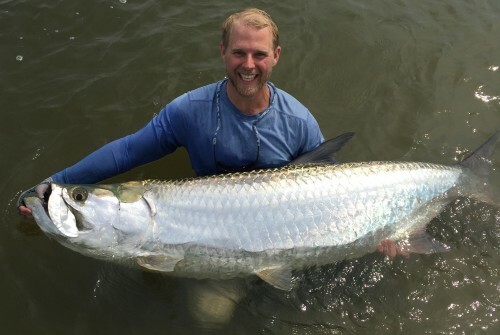 Days of double-digit catches are the norm rather than the exception. 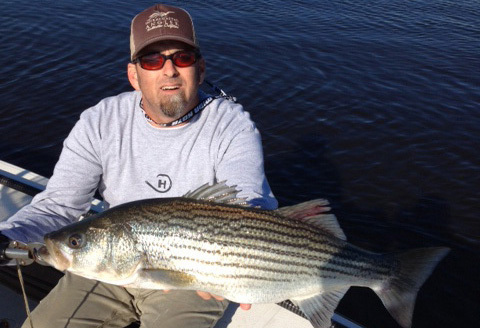 Striped Bass (aka Stripers, Rockfish) fishing near Wilmington has been really consistent the past few years. 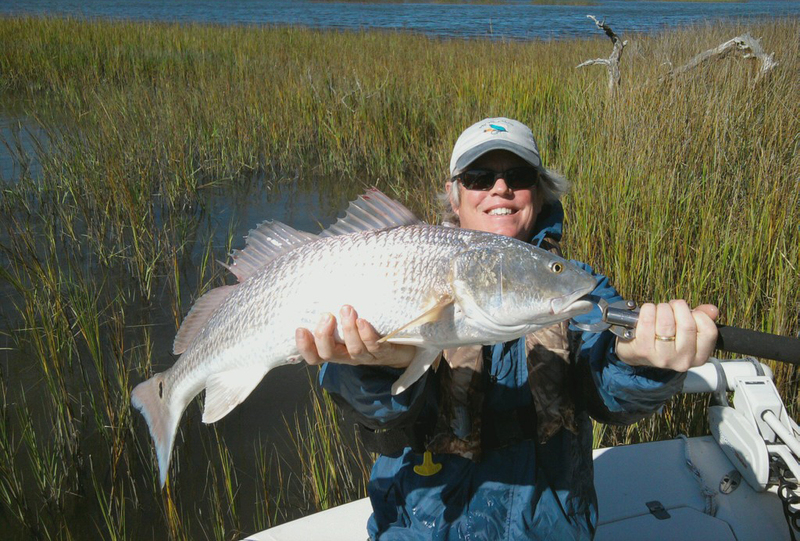 Whether the better fishing can be attributed to a moratorium( both recreational and commercial) on Stripers in the Cape Fear River and its tributaries, stocking efforts, a new rock weir at Lock and Dam One in Reigelwood or a combination of all three , we have an exciting fishery that can be enjoyed all year, but especially throughout our winter months. 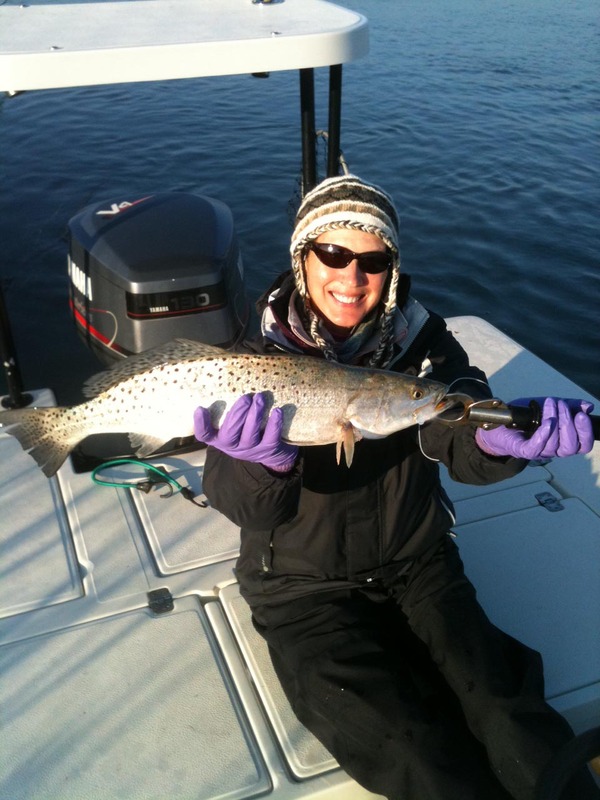 Good fish(4-12lbs) can be expected most every trip, with fish 15-20lbs caught throughout the season. 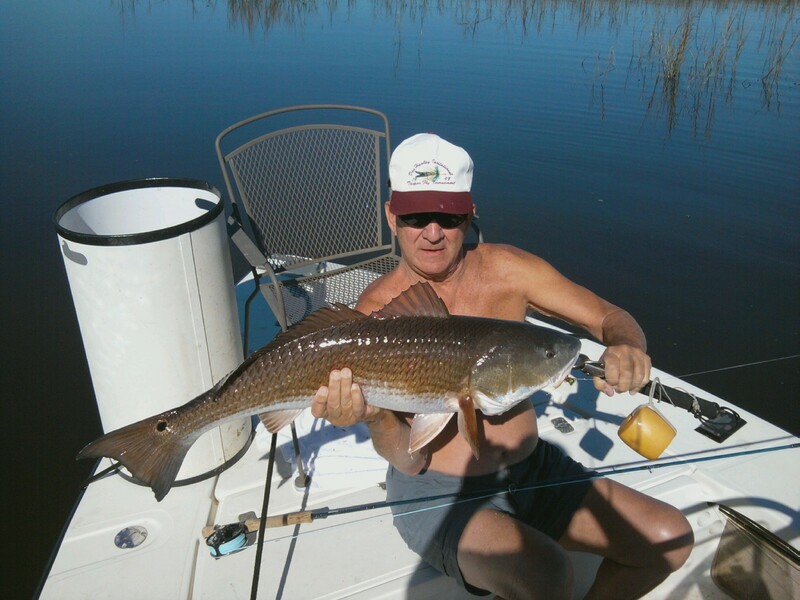 Welcome to Circle H Charters Saltwater Guide Service. 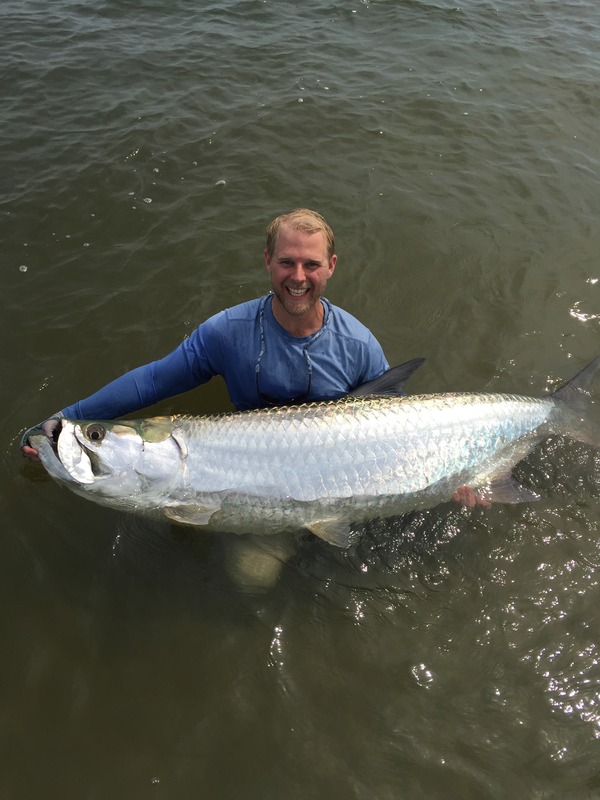 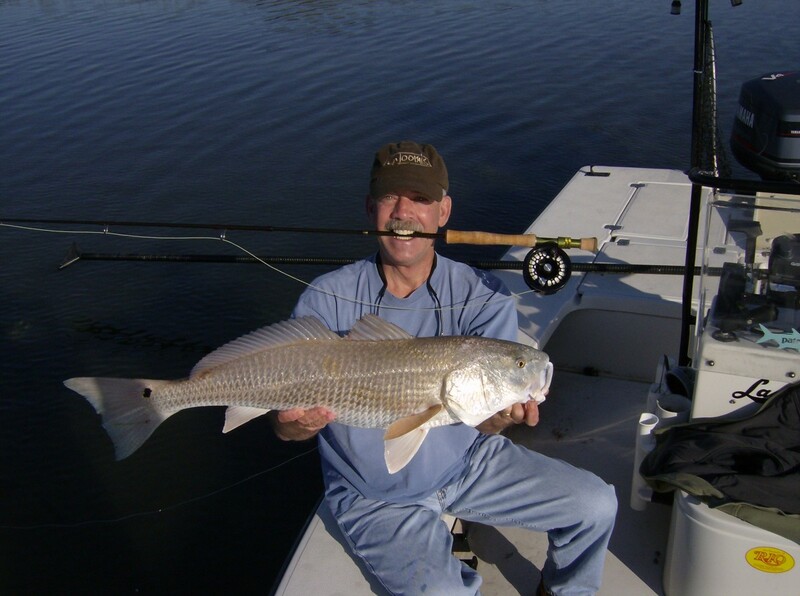 We are primarily an Inshore Guide Service specializing in shallow water flats and sight fishing for Redfish( Drum, Puppy Drum), Speckled Trout and a host of other species using the latest fly fishing tackle and light spinning gear.